This is an unusual job we did in the old town of Crewkerne which is on the southern edge of Somerset near Dorset. 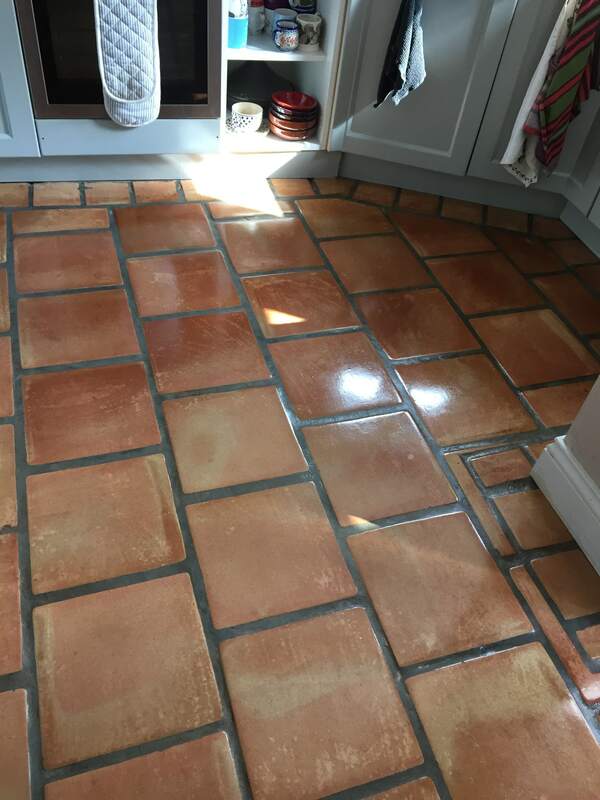 We were asked to restore a Terracotta tiled kitchen floor where the seal on the terracotta tiles had been damaged when the floor had been cleaned with bleach leaving horrible smears all over the floor. 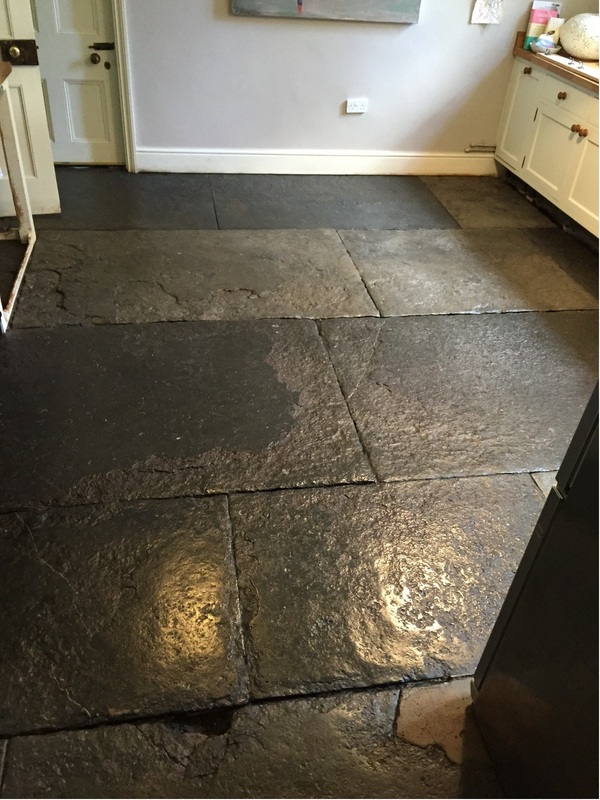 Bleach is a very strong product with a high pH that can easily damage the sealer on a floor and unfortunately there is no easy way of restoring the damaged sealer so the whole floor would need to have the remaining sealer stripped off so the floor could be resealed. 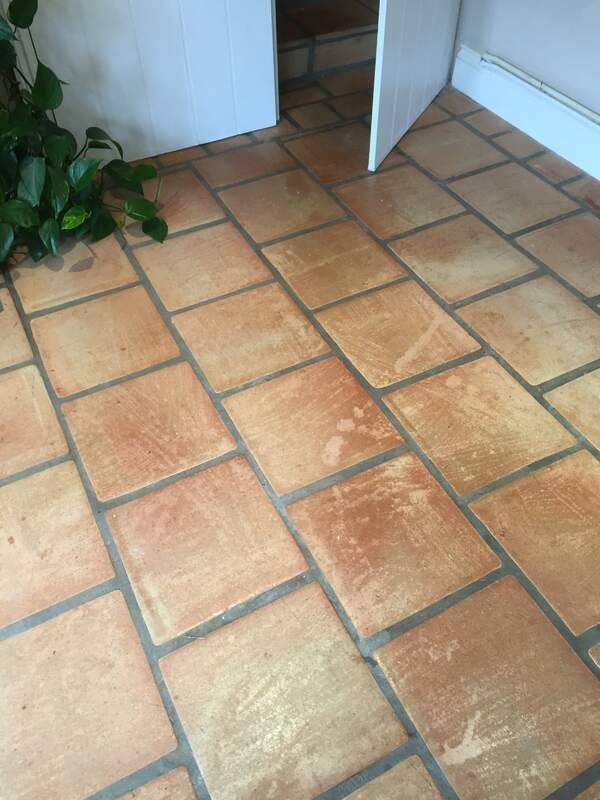 To remove the existing sealer the Terracotta tiles were covered in a strong dilution of Tile Doctor Pro-Clean before scrubbing the product into the tiles with the aid of a rotary machine fitted with a scrubbing pad. Pro-Clean is a powerful alkaline cleaner designed for use on all types of natural stone. 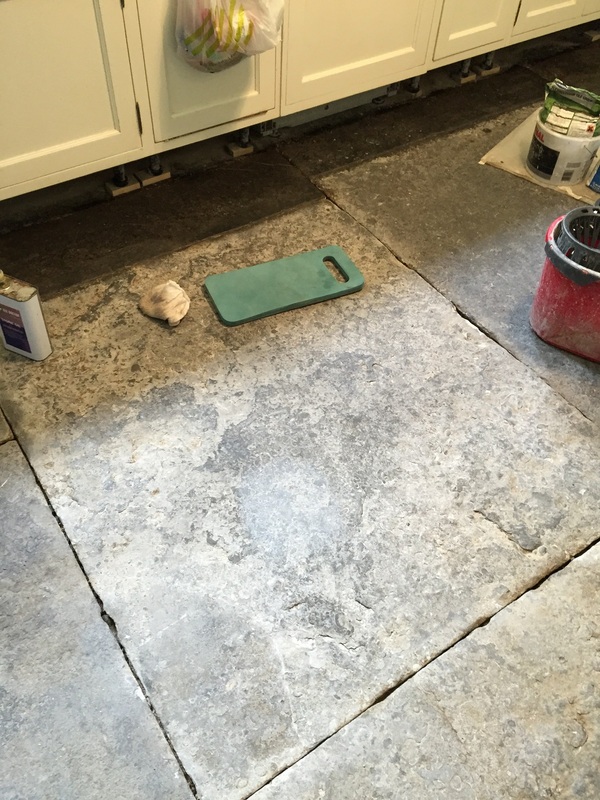 In concentrated form, it breaks down old sealers as well as removing dirt, while the rotary machine helps the product to penetrate deep into the pores of the stone to eradicate ingrained dirt and stains. The now soiled cleaning solution was then extracted from the floor using a wet vacuum and the then the floor rinsed with water. 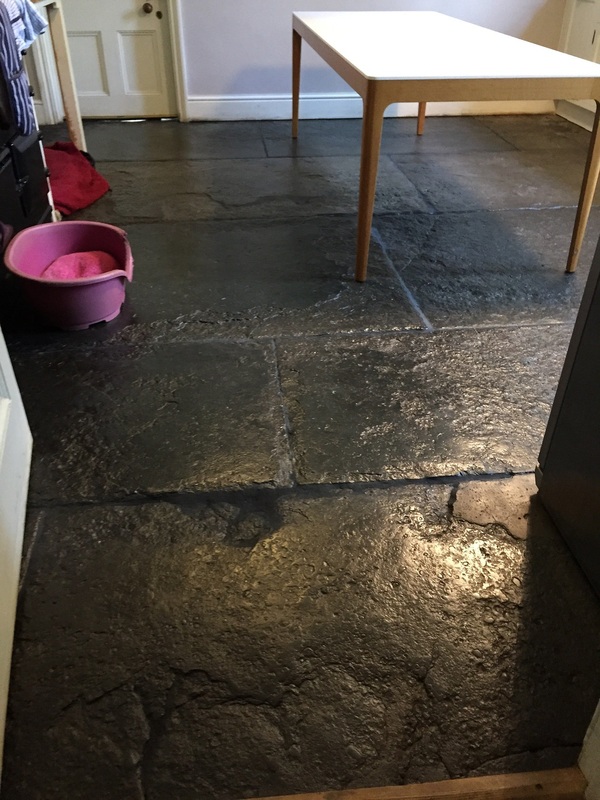 Water will pool on a sealed surface to I was able to spot where more work was required and re-treated those areas until I was happy the floor was clean and all the sealer had been removed. I then gave the floor a final rinse and then dried as much as possible using the wet vacuum and then then left to dry off overnight. 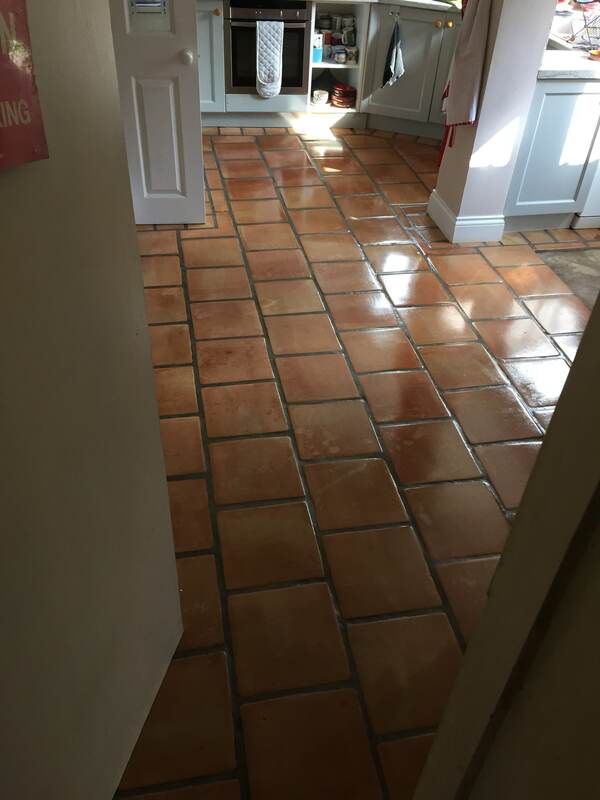 The next day, I returned to the property to find the tiles dry, and ready to be sealed so I started by the application of two coats of Tile Doctor Colour Grow which enhanced then natural reddish colours in the tile. Colour Grow is also an impregnating sealer that occupies the pores of the Terracotta preventing dirt from becoming ingrained there. 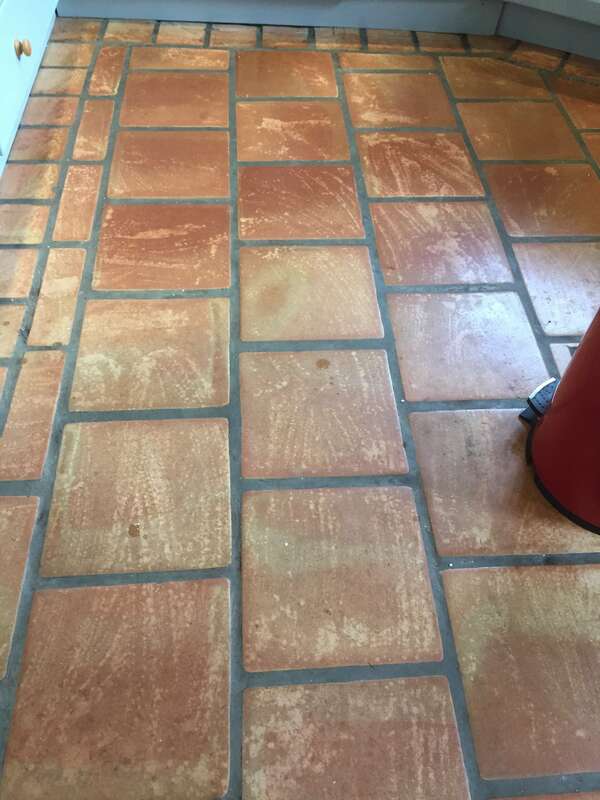 To add the Satin finish my client had requested I topped off the floor with five coats of Tile Doctor Seal and Go, a water based sealer that words really well on Terracotta. Sealing the Terracotta took some time as you need to let the first coat dry before applying the next. 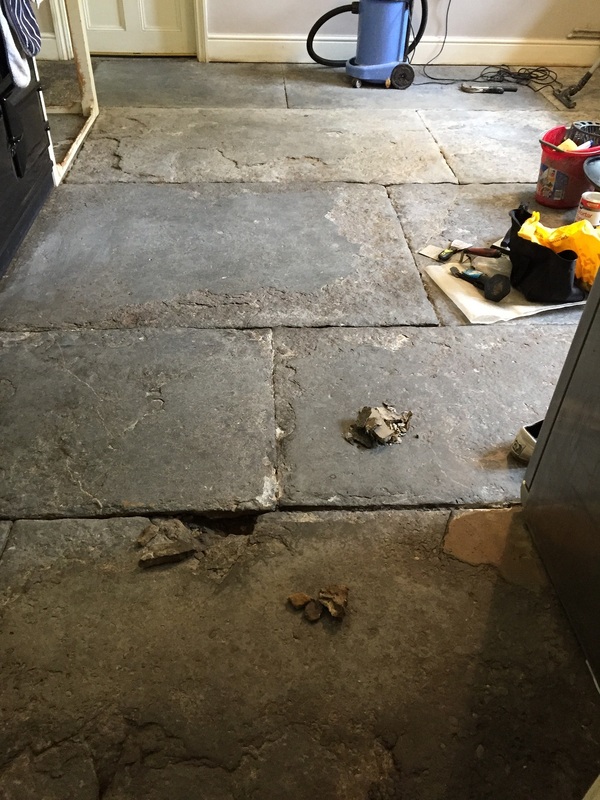 The floor is now fully sealed and looking like new, additionally I have advised the client to clean the floor going forward using a pH neutral tile cleaning product such as Tile Doctor Neutral Tile Cleaner which should avoid the problem happening again. My customer was really happy with the result and left the following comment on the Tile Doctor Feedback system. “We were amazed at how hard David worked. The floor is greatly improved.